Radio Leinster broadcast from a lovely high site in the Sandyford area overlooking Dublin. The signal from the MW freq of 738kHz was very good in the UK by day in summer. The name Radio Leinster originates from the district of Ireland they were broadcasting to. There are 4 regions in the whole of Ireland: Leinster, Munster, Connaught, and The North. 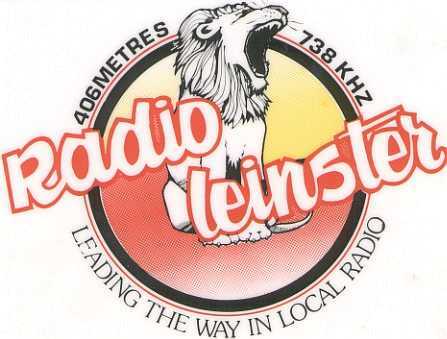 Radio Leinster, despite their strong signals, had a short life. Their freqency of 738, although excellent by day, suffered severe night time interference, even with their relatively high power of 1 KW. They began broadcasting a few months before our visit, on May 1st 1981. An interesting item appeared in Sounds Alternative as far back as August / September 1978 about plans for Radio Leinster. DJs included Ugene Elliot, Danny Hughs, Gordon Sommerville and Steve Gordon, an ILR presenter from Northern England. (Not the Steve from Caroline. The latter luckily called himself Stevie Dunn when he moved to Sunshine). Other DJs to join included former Community Radio Drogheda man, Gavin Duffy. The target audience seemed to be older than most of the other stations around town. 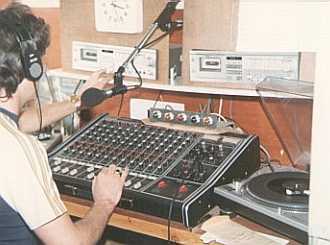 In 1983, during the raids of Nova and Sunshine most of the stations countrywide closed down temporary, to protect their equipment. All Dublin stations except ABC 981, and Radio Dublin closed down. Radio Leinster sadly never returned. Left: The studio, which overlooked Dublin bay, from high in the Dublin mountains. 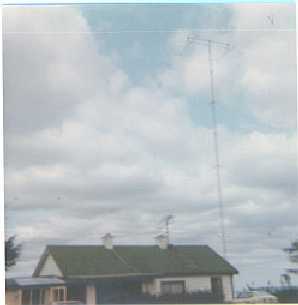 Right: The mast by the house, and you can just about see the height you are up, at the right of the mast. 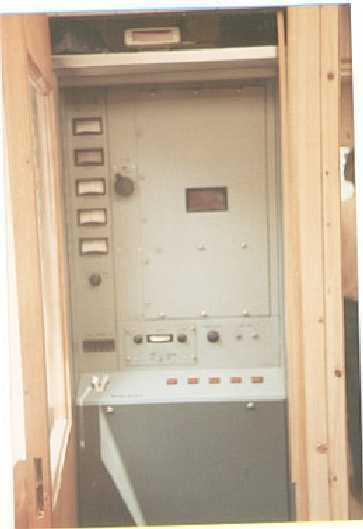 Radio Leinster had the first professional transmitter I had ever seen. This was used by Independent Radio Mayo much later. This was a full page advertisement from the May 1983 edition of 'The Magazine'. 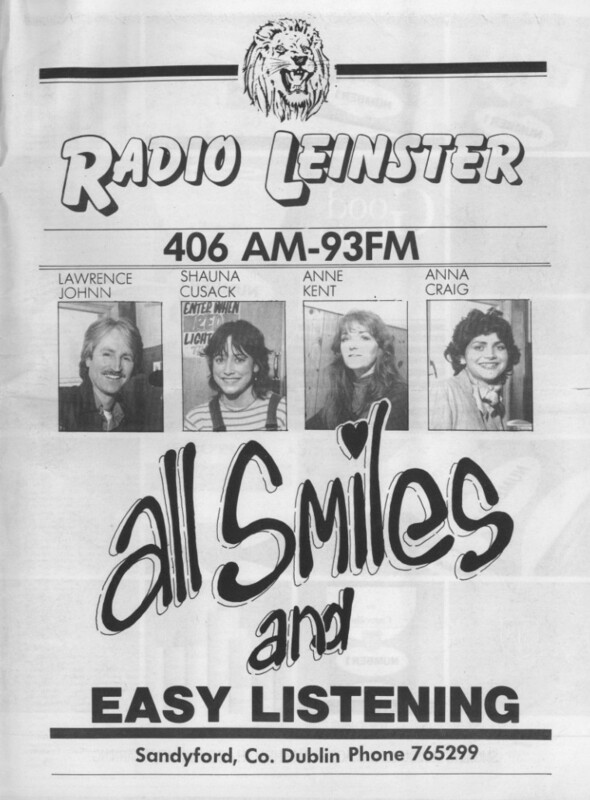 This was possibly the final ad for Radio Leinster, as the station closed down on 19th May following raids on Radio Nova and Sunshine Radio and sadly never returned.